From humble, rural beginnings, Lahey Constructions has grown to become one of Australia’s most prominent and long-standing construction firms. For over 69 years, our passion for quality and service has enabled us to thrive in an increasingly competitive and ever-evolving industry. Lahey Constructions is one of Australia’s most long-standing and successful construction firms. We have built a wide and diverse portfolio ranging from hospitals; aged care, education and correctional facilities; community infrastructure; to luxury apartments and resort complexes. We are well known and highly regarded for our flexible approach, and our unfailing commitment to excellence and integrity. We are also proud to provide a healthy, safe working environment for our people and communities, and lasting relationships with our clients, suppliers and consultants. While our focus is firmly on the future – on utilising the most innovative methods and processes – our commitment to hard work, transparency and personal service has remained unchanged for over six decades. 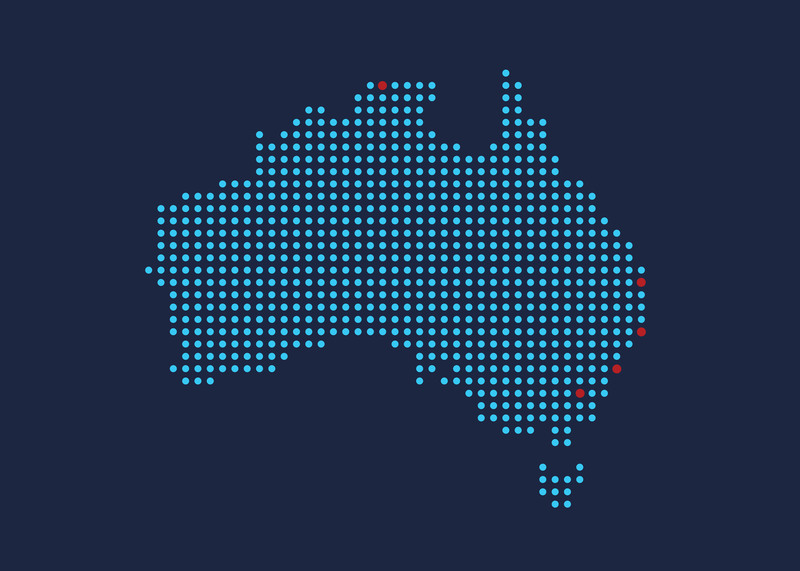 Today, we remain family-owned and operated, and we have offices around Australia – in the Mid-North Coast of NSW where we first began back in 1950, along with Sydney, Canberra and Darwin. In construction, certainty is essential. It’s why – from the very beginning – Lahey has worked openly and collaboratively. We expose and address any inherent project risks from the outset, and we work tirelessly to help turn risks into opportunities wherever possible. To stay ahead in an ever-evolving industry, an innovative approach is vital. For the past 69 years, we have flourished by continually honing our skills through listening, adapting and adopting new and successful ways of building and delivering projects. Since inception, we have been continually committed to providing the highest quality design, construction and management. Our historic foundation as specialist master hand crafters means a commitment to refinement and precision is in our DNA. At Lahey, we have a long-standing belief in the importance of customer service. We are committed to providing face-to-face contact, open and transparent collaboration, and regular interaction. This enables us to ensure that our clients are informed and happy at every step of a project. We have brought together a unique industry team with the capacity to successfully guide the entire project lifecycle, from early-stage in-house design through to construction, compliance, services consulting and post-contract management. Few construction companies offer such a complete and flexible service solution. In every area of our business, we are committed to exceeding our clients’ expectations. We also hold ourselves fully accountable when it comes to fulfilling our obligations to our clients, suppliers, people, the environment and the wider community. We constantly strive to exceed our clients’ expectations and deliver work that pushes boundaries and sets new standards for excellence. Over the years, we have received significant accolades for our work, including several high profile industry awards. We recognise the role we play in caring for the communities in which we operate, as well as the planet and we are focused on sustainable, environmentally responsible development. We adopt and promote whole-of-life principles for our partners and our own business, by maintaining a balance between current environmental, social and financial goals, and future needs. A commitment to safe, compliant working practices underpins everything we do. We strive to create buildings that provide a high level of safety and wellbeing for our on-site workers, site visitors, tenants and neighbours. As well as maintaining certification to AS/NZS 4801, ISO AS/NZS 14001 and accreditation to the Federal Safety Commission Accreditation Scheme, we also strive to exceed relevant industry and legislative requirements wherever possible. We foster a culture of cohesion and accountability, and our business is led by hands-on senior executives with a proven ability to deliver a project from inception to completion. We understand the fundamental importance of strong and open communication with our clients, and aim to create working relationships, underpinned by respect, trust and teamwork. Our people are responsible for our success, and define our culture. Our experienced industry professionals are dedicated to listening to your requirements, delivering on our promises, and ensuring your experience of working with Lahey is both enjoyable and highly productive. We see ourselves as part of your team, and are fully committed to giving you cost effective solutions, unmatched quality, and exceptional service. We strive to provide a quality of service underpinned by the behaviors that make us distinctive in the eyes of our clients. Philip’s ability to engage and encourage people at all levels of the business has produced a consistent track record of outstanding results. 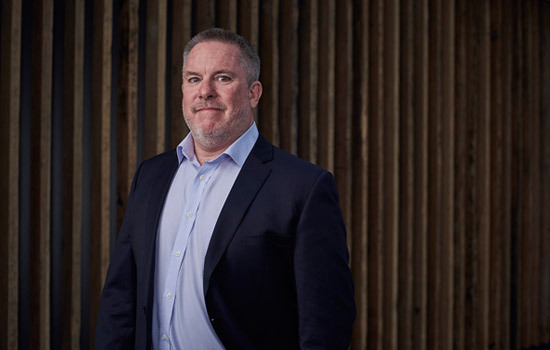 With 40 years in the construction sector, and exposure to both the practical and commercial sides of the industry, Philip has finely-honed executive, project management, construction and property development skills. He also has the vision, drive and skills to ensure Lahey Constructions’ continued growth. 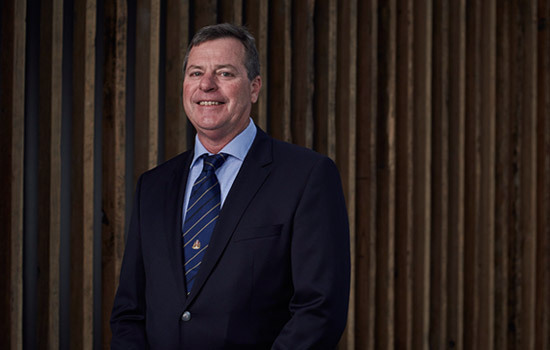 Andrew has 35 years’ industry experience, delivering successful projects across Australia. He fosters a forward-thinking culture and a fresh approach to business to inspire his teams to deliver world-class facilities. His strong technical knowledge, wide-ranging construction experience, and adaptable, incisive and professional manner ensures he is highly regarded by his peers. At the forefront of the industry, Andrew’s progressive approach and business acumen will continue to see Lahey Constructions thrive.